Need some pieces of metal to be stuck together but super glue ain’t doing the trick? Client was having issues with his winch line rubbing on the brush guard. 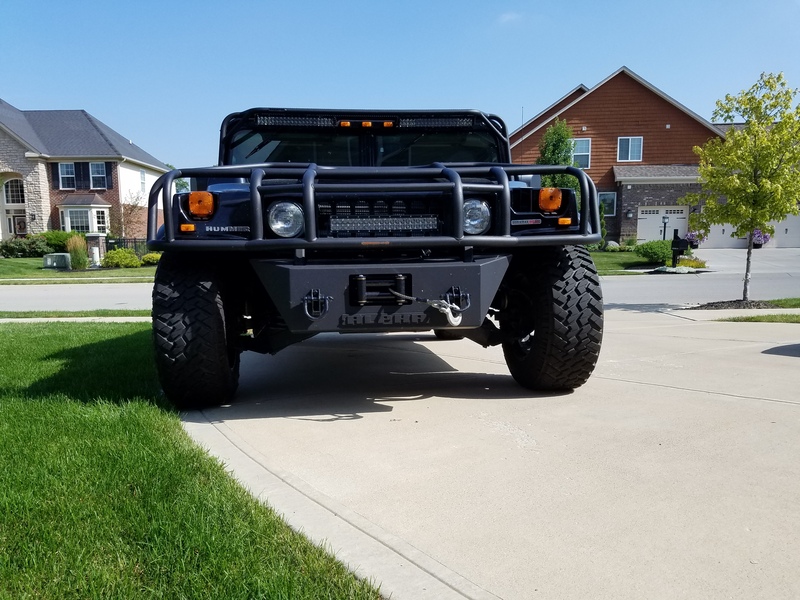 To alleviate the issue, they wanted to install a fairlead but didn’t like the way it looked by itself bolted on the front of the winch. 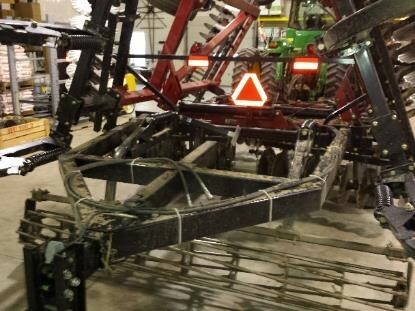 An off the shelf bumper existed for this set up but customer wasn’t happy with the price. We designed and fabricated a bumper to meet their needs and came in less than half the price of the off the shelf product. 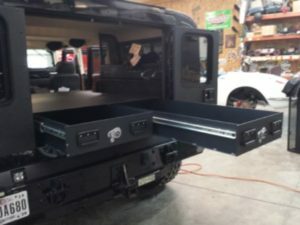 Designed and built custom drawers for client’s Hummer. The client wanted secure storage while still having the ability to set items on the floor of trunk. The boxand drawers were fit to use the full width and depth of the vehicles trunk. Client wanted to pull 2 implements in series for a better soil finish but there wasn’t a hitch on the back of the first implement for the second implement to attach to. 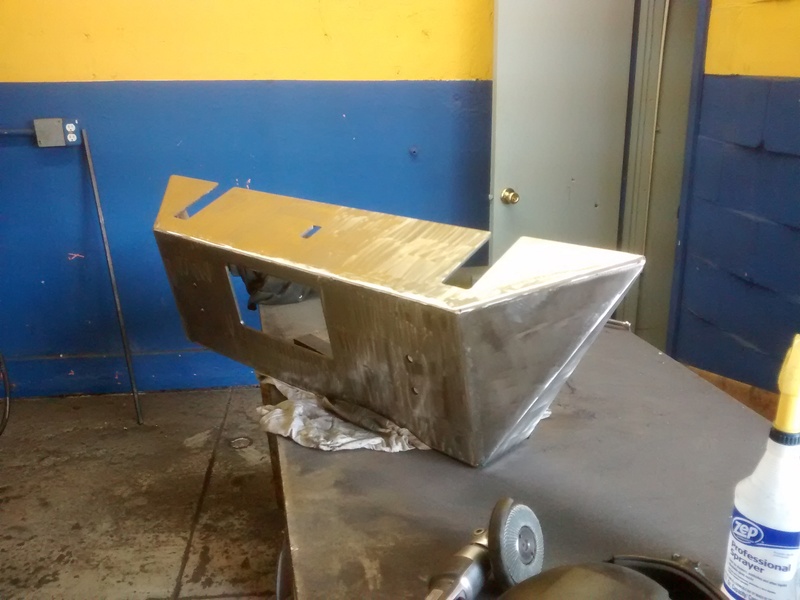 Modeled what the proposed hitch and after approval from the client started cutting and welding box tube. 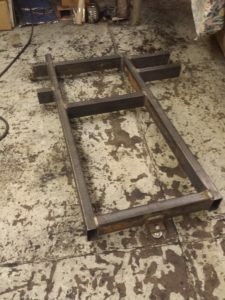 Our drop saw is made of 2 units, the rear and front, which makes it a pain to move. To make moving it less of a hassle Alex welded together a box tube frame that both units are bolted to.